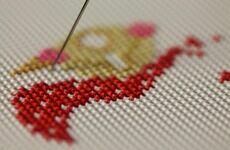 Along with New Years resolutions, detoxes and a fresh start, what about your stitching goals for the New Year? Whether it's to stitch one kit every 3 months, or challenge yourself with a harder kit, we're here to talk you through 9 stitching projects that are perfect for kick starting your goals in 2018. We hope that you'll stay with us throughout 2018 and share your stitching with us too. 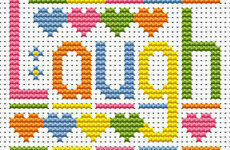 This new in kit from Riolis promises to be a challenging, yet rewarding stitch. There is no better time to start stitching your Christmas kits than the start of a new year, with no pressure to rush or get the kit finished in a matter of weeks. With so much detail and rich colouring, it's a wonderful stitch to get the year off to a good start. Perfect for those cold, winter nights! P.S it's currently on offer for only £32 too! All the pink ladies, all the pink ladies! 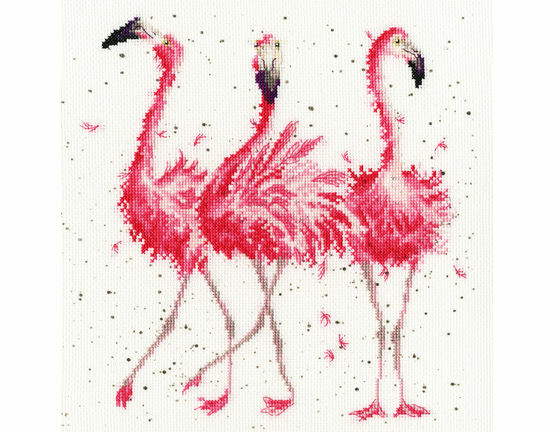 Burst into the new year in colour with this gorgeous flamingo stitch from Bothy Threads. Hang it up once finished, for a little bit of happiness and colour that can be enjoyed throughout the year. The boys! A must have stitch for those whose lives are consumed by their feline friends. 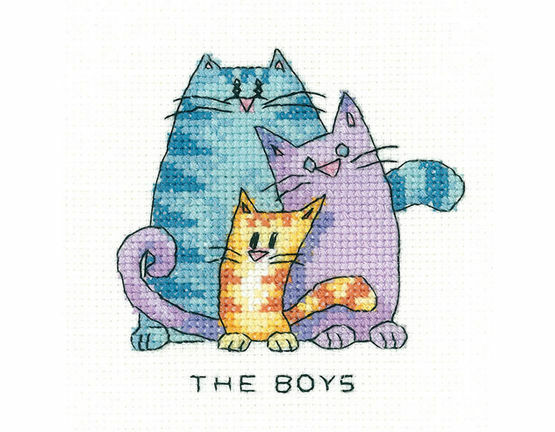 Featuring 3 cats, this colourful stitch is perfect for all abilities, and the cuteness factor is at a resounding 10/10! 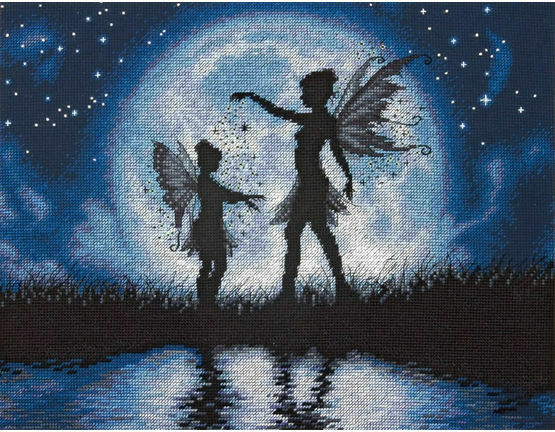 Get ready for those summer weddings in advance with this beautiful fairy wedding cross stitch card kit. 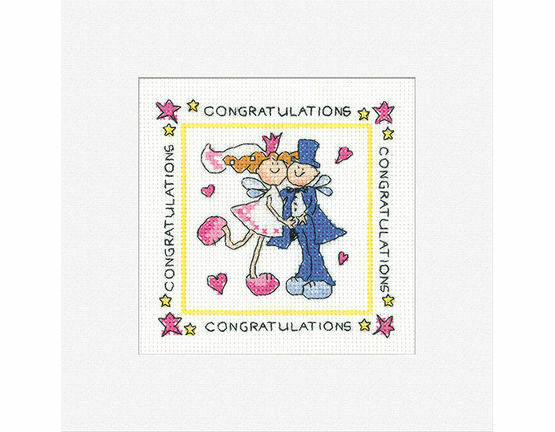 Featuring a newly wed fairy couple, it features a delicate Congratulations border. There's no better time to start stitching for upcoming occasions than a few months in advance. 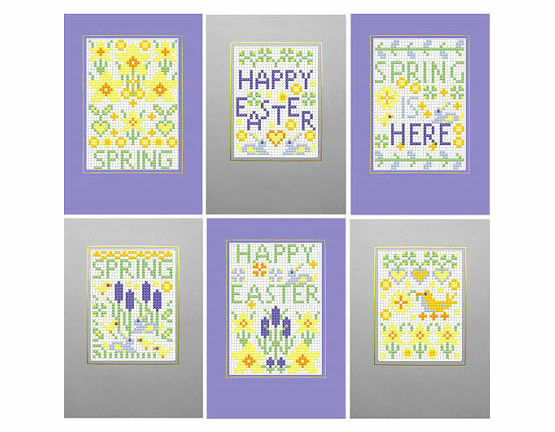 Easter will be on the horizon before we know it and this set of 6 cards are perfect for sending some spring cheer to your loved ones. 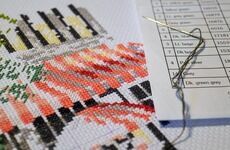 Welcome a new arrival into the world with this colourful birth sampler from Bothy Threads. 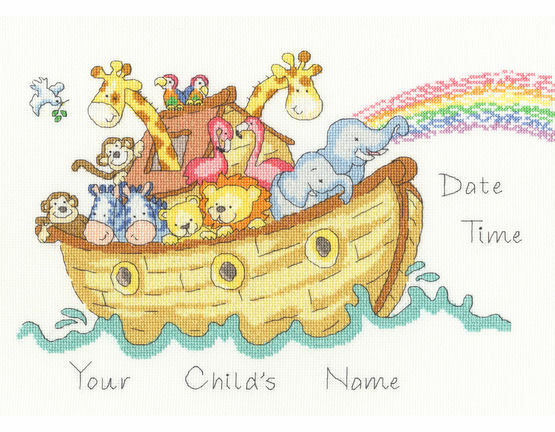 A gorgeous addition to a nursery that can be personalised with the name, date and time of their arrival. Sprinkle a little magic with this mystical kit which is perfect for a fantasy fanatic. This fantasy inspired stitch would make a lovely gift for a special loved one or for a nursery, or another room in your home. Green fingers at the ready! 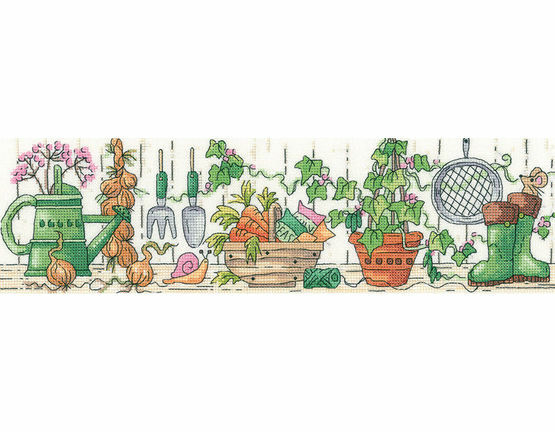 This gorgeous design is a gardeners dream, filled with rich colouring and gorgeous detailing. It would look wonderful framed and displayed in a shed or other! 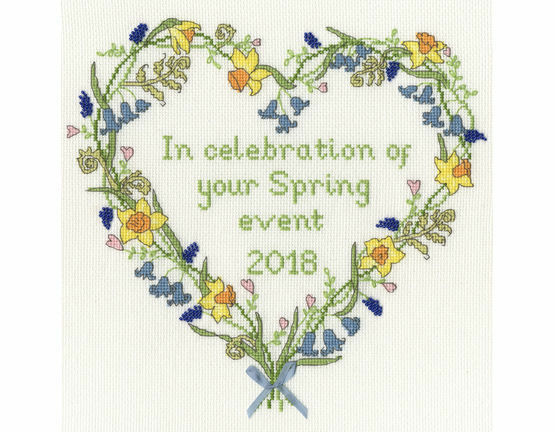 By Bothy Threads, this Spring Celebration cross stitch kit is perfect for any occasion, Birthday or event. The gorgeous floral heart border can be personalised in the middle with names, dates or any writing that you wish. What are your projects and cross stitching plans for 2018? Keep up-to-date with news, new products and future blog posts on our Facebook Page, Twitter and at Google+.